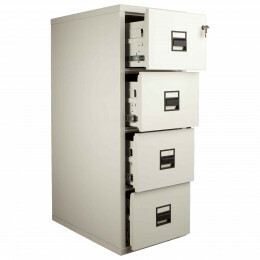 FireKing fireproof filing cabinets provide the very highest level of protection for paper documents from the effects of fires, impact damage, theft and even explosions. 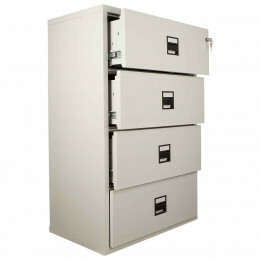 Each FireKing filing drawer is independently fire resistant even if another drawer is accidentally left open and are UL tested. Each cabinet undergoes a minimum of a 1 hour heat test at 1000°C, although the FireKing Professional offers premium quality and at least 2 hours fire protection.